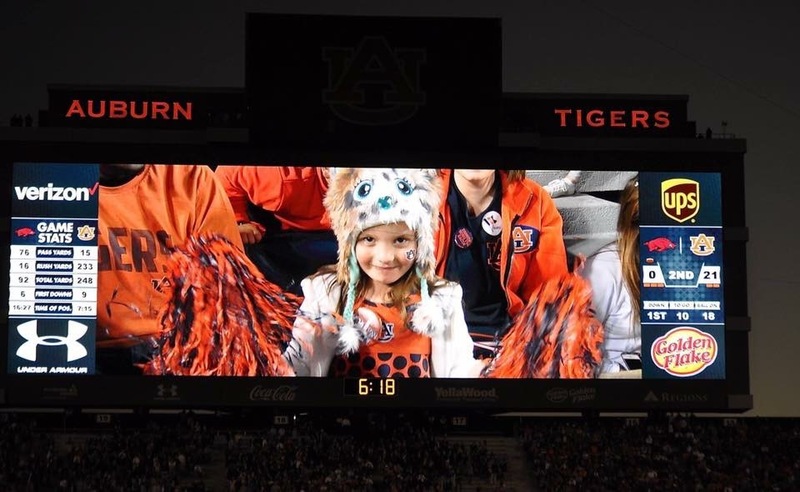 Niece on the Jumbotron at the Auburn football game. 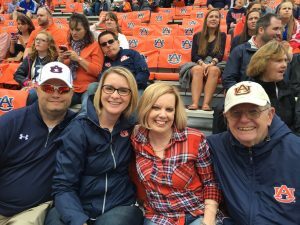 I have mentioned before why attending Auburn home football games is very important to me. Attending the games are important mainly because I attend the games with my dad to spend time with him, time I cherish dearly. This past Saturday, however, the I got to witness the next generation Auburn fan when my five-year-old niece attended her first game. True I my other sister’s children started the 4th generation Auburn fandom when they first attended the Auburn games years ago, however, I did not get to attend their first game because I was living out of state. It was fun for me to be with my niece last Saturday to her reaction to the game through her young eyes. My grandparents started our Auburn football game tradition when my dad began as a freshman in 1957. I was probably 7 or 8 years old when I attended my first Auburn game. 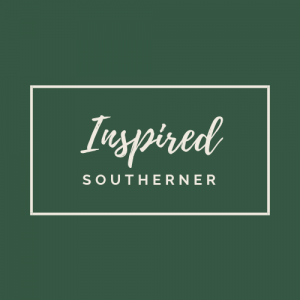 My dad coached at Opelika High School when I was a child, so it was easy for us to go to the games because Opelika was the town slightly east of Auburn. The game experience then was nothing like the game experience now. College football games are geared towards the “fan experience” making them truly an event one should take part in, if only just once.